Vista Animations Vista Animations is a company born in 2006. 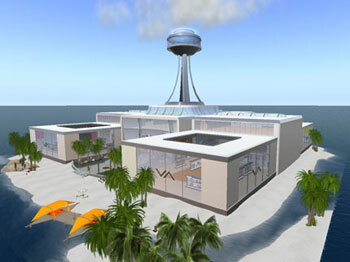 It started creating contents for the virtual world Secondlife™, specialized on animations, but also doing other Virtual world goods like clothing and complements. Since 2007 you can go to Vista Center, the virtual world shop of Vista Animations brand at Vista Animations island at Secondlife ( SL Island ) Becoming one of the more popular places at secondlife, with more than 600 unique visitors per day. Vista Animations products are used by thousands of residents. In june 2009 Vista Animations moved to the highest techniques on animation using MOCAP (Motion Capture). Using a IGS-190-M from Animazoo, the world’s most mature gyroscopic inertial motion capture system. The lack of cameras avoid the need of big studios, and gives the chance to capture indoor and outdor. Also the lack of markers/cameras create a cleaner data with less need of cleaning (no markers gaps).